Next Schedule Trek Date: July 3rd, 2016. Hanging high dauntingly at 3500 above mean sea level There is lots of archaeological treasures yet to be discovered in this Pyramid mountain fort that promises lot of adventures and surprises as one climbs up till the summit. Experiences: Nice Road Trip along the approach road while reaching the base village (view of mountains; valleys and lakes); Hill Climb, Exploring Fort, the summit has a great 360 degree view of the surrounding region. Location: 20 KM from Lonavala and 60 KM from Pune. Season: Round the Year (Magical in Monsoon).. Follow Asif's board Nature Knights - Tikona Fort on Pinterest. 6:00 am Andheri East, Near Bislery factory, Western Express Highway near Signal. 6:10 am Along highway (Vileparle; Santacruz and Bandra - Kalanagar Bus Stop). 6:40 am Chembur (After Diamond Garden Signal). 7:00 am Vashi (Junction of Station road and Highway). - Water (in proper pet bottle - not disposable bottles) - 2 liters per head. - Snack Bag (Dry Fruits; Chocolates; Sandwiches; Fruits; Salad item; anything easy to prepare and carry). Do not carry music system or any thing that makes sound. Bottled Water or other beverages other than mentioned above not included, Tips not include. To design Custom trips for large group kindly get in touch with us separately. Tikona also known as Vitandgad is the dominant hill fort in Maval in western India. 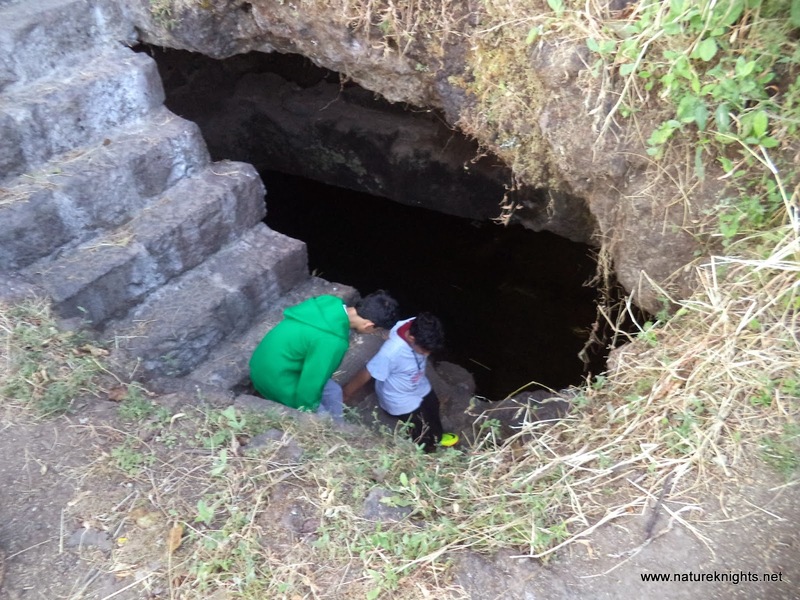 It is located near Kamshet around 60 km from Pune 20 km from Lonavala, around 120 km from Mumbai. The village nearest the fort is called Tikona-Peth or Tokono-Peth. The 3500 ft high hill is pyramidal in shape and the name Tikona means "triangle". 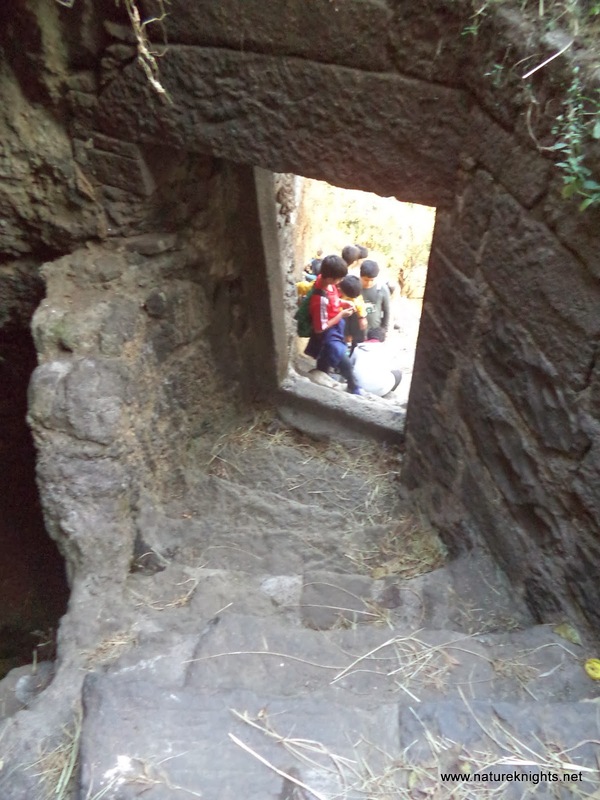 The fort is a trekking destination noted for the large doors, the temple of 'Trimbakeshwar Mahadev', a water tank and some Satvahan caves. 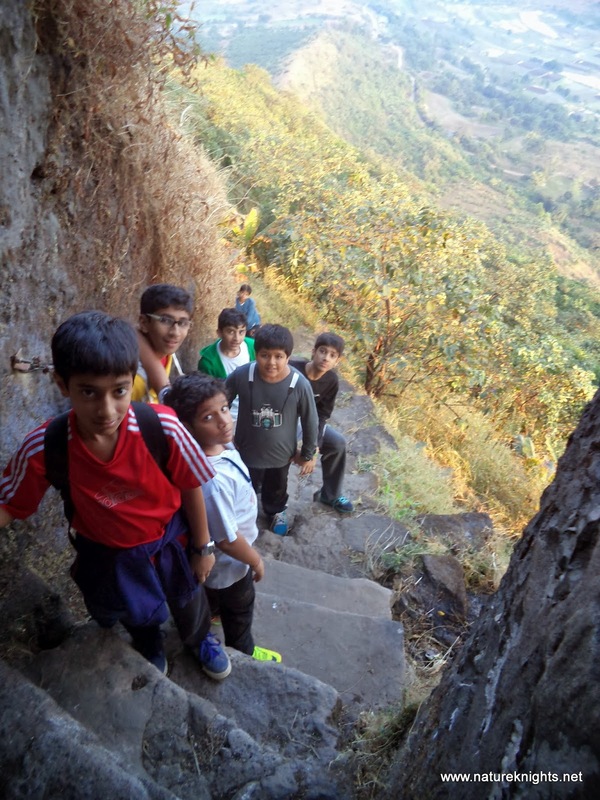 The fort summit also has a commanding views of Pawna dam and the nearby forts of Tung, Lohagad and Visapur. There is a small ponds and water reservoirs at and near the summit. Tikona Fort as seen from a distance - has Trigular shaped like Pyramid hence the name "Tikona"
From Lonavala take left from Kumar Resort after Shivaji Putla at Lonavala follow Pawna Road after crossing Pawna Dam take the road on the right going towards Paud. 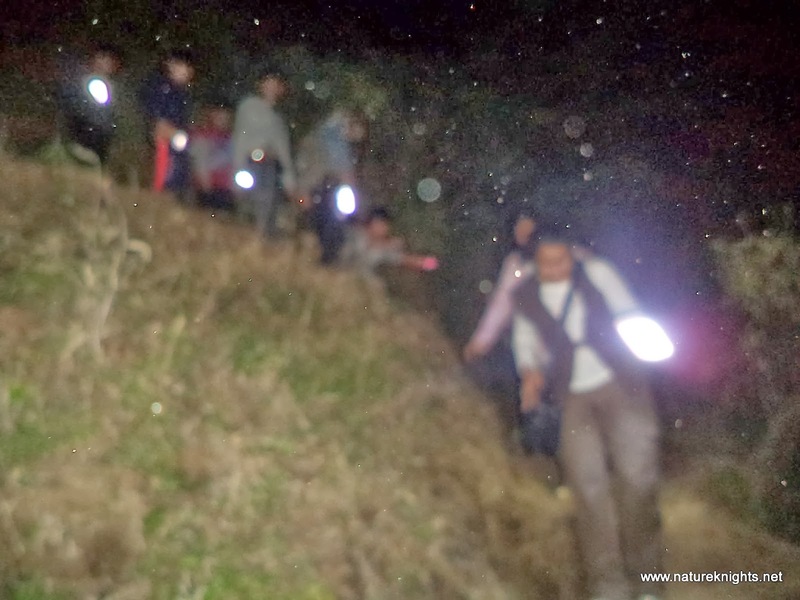 The vehicle will climb ghat road to road till Tikona Peth (Base Village); take the village road going straight going towards the start of the trek. Lonavala to Tikona Petch (distance 20 km). From Kamshej take Paud road, after Panna Nagar follow Paud Road till Tikona Peth. From Kamshej to Tikona Peth approximate distance 15 km. Little is known about the origins of this fort. There is a Vihara on the fort datable to circa seventh-eight centuries A.D. Malik Ahmed Nizamshah of the Nizam dynasty conquered the fort in 1585 and annexed it to the Nizam territory. In 1657, Shivaji brought the whole of Konkan, which had been Nizam territory, under his control when he conquered Tikona along with the forts of Karnala, Lohgad, Mahuli, Songad, Tala, and Visapur. This fort was a strategic nexus: the centre of control for the entire Pawana Mawal region. In 1660, Dhamale family one of the Deshmukh from Maval region was charged with ensuring the security of fort Tikona. Jaysingh invaded the region in 1665 and the local villages were by Dilerkhan but the forts held out. Tikona fort was surrendered to the Mughal warrior Kubadkhan, who had attacked the region together with Halal Khan and others, according to the Treaty of Purandar signed on 12 June 1665. Kubad D Khan took over the fort on 18 June but it was later recaptured by the Marathas.